Are you ready for some fun? Some colors to brighten up the dull Winter skies? Well if you answered yes…you are in the right spot! 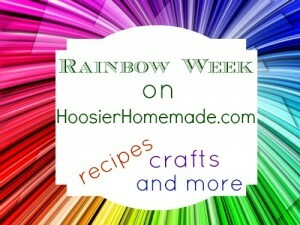 Last year was so much fun with Rainbow Week, we decided to do it again! 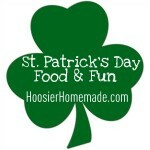 Stay tuned for fun treats and projects to brighten your day and put a smile on your face! 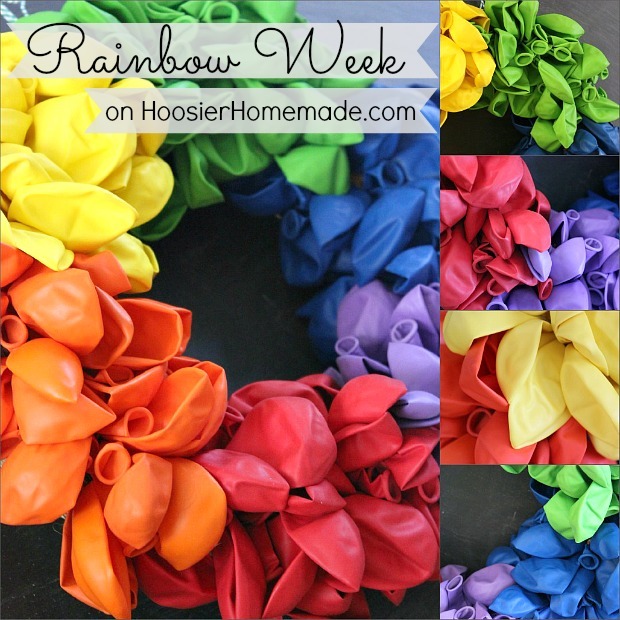 We are kicking off Rainbow Week with a fun project that is not only perfect for St. Patrick’s Day but the colors can be changed or switched around for a special birthday party decoration too! 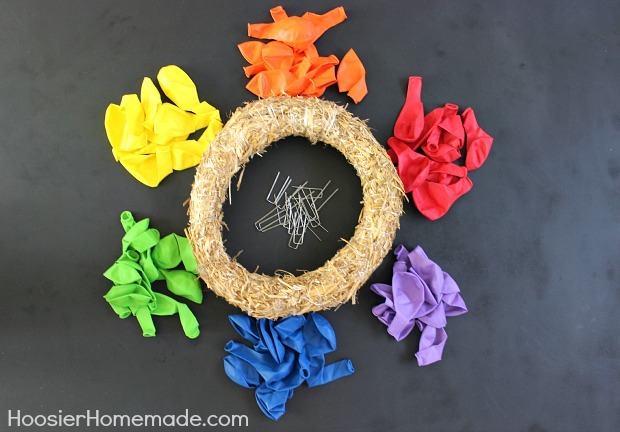 We are going to learn how to make a Balloon Wreath! Are you ready? So much fun and it will be one of the quickest projects you will ever do, but make a big impact! 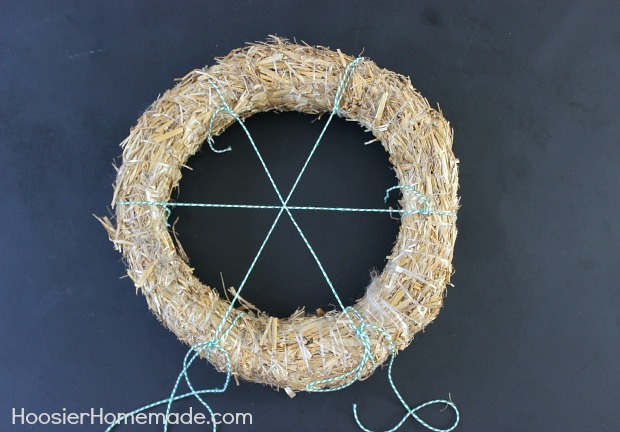 First, if you are making the Rainbow Wreath, you will want to divide the wreath into equal sections with twine or ribbon. 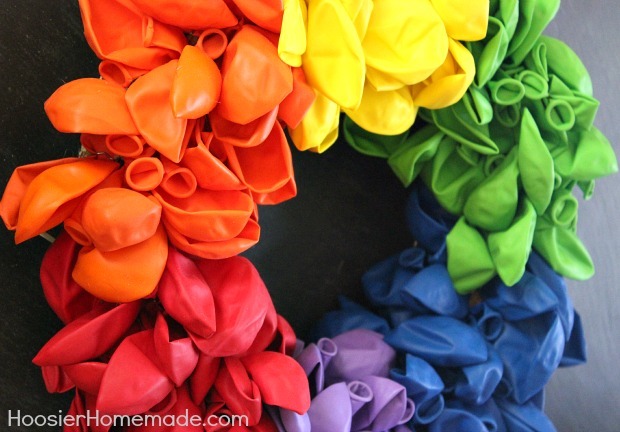 If you are making a multi-colored Balloon Wreath, there is no need to do this step. 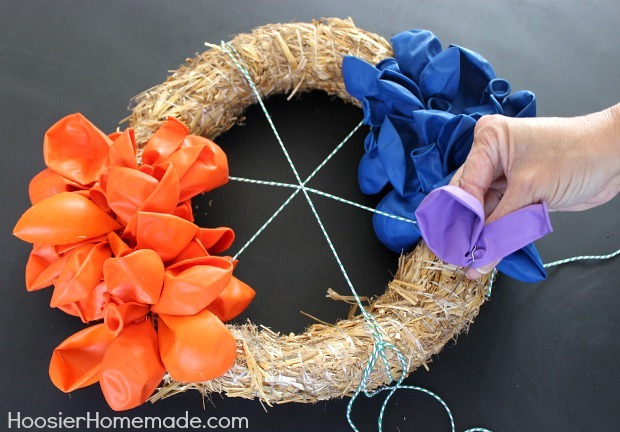 Place a floral pin on each balloon and push the pin into the wreath. Place them randomly and close together for the best look. 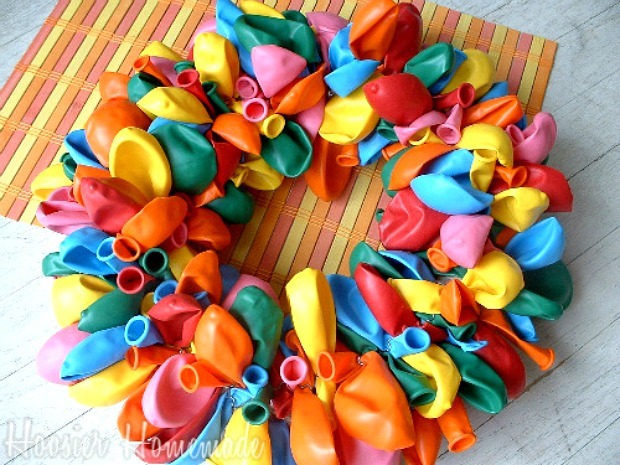 This Birthday Balloon Wreath is the one I made a few years ago. They make great decorations to have for each family members birthday or as a gift. That is great! I will have to remember this! 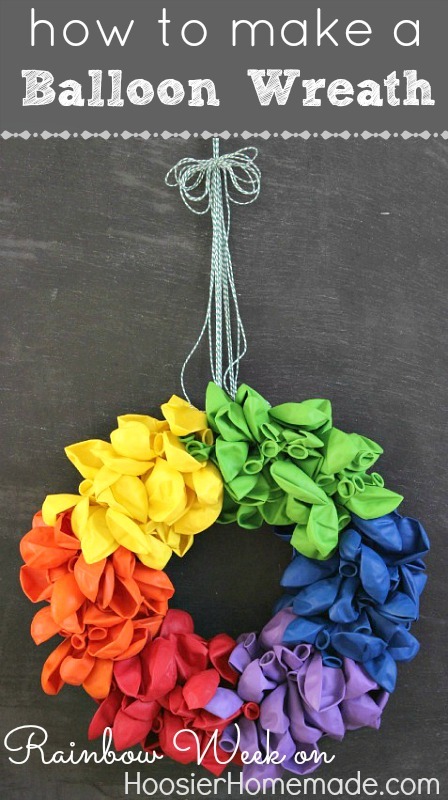 What a fun idea for a birthday party decoration. Thank you for sharing. That is just sooo clever!! i love how bright and happy, what a great decoration for a bday party! This is so clever and the colors are so fun looking! I hope you’ll be showing your finished cupcakes and pics from the big event! This is so cute! I am definitely going to make this to put up for all future birthdays around here. Thanks! Love this idea, for a birthday or any party!